An everything-you-wanted-to-know and somebody asked compendium. This book grew out of the authors- Open-Sesame website, where more than a million readers a year asked questions. From the most basic, like Do witches fly? to the most sublime, including How do we explain the things that happen in our lives?, A Witch's Book of Answers provides the answers- answers you can apply to your life and your practice, whether you're an interested newcomer or have been practicing your whole life. 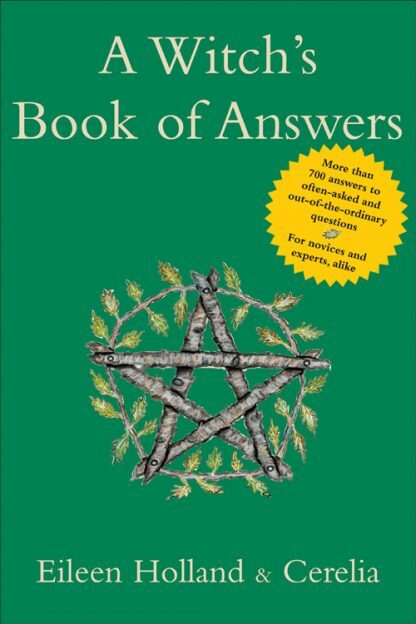 A Witch's Book of Answers is widely informative and contains essential information modern witches need to know. In addition to the questions and answers that are the foundation of the book, Holland and Cerelia also provide exercises and general information throughout, including how to use visualization in magic, how to ground yourself after a ritual, and what to do if a Tarot reading predicts something terrible. Learn about covens and how to find the right one, how anger can affect magic, and the power of dream interpretation. Including an Index of Magical Workings and a glossary of Wiccan terms, A Witch's Book of Answers provides a comprehensive guide to what it means to become and live as a witch.